User experience (UX) has always been important for attracting more visits and better conversion rates. But could it have a direct impact on SERP rankings? “The customer is always right” is one of the oldest clichés in marketing. But like all the best clichés, it is based in sound logic. Look after your customers and give them what they want, or you won’t have a business for long. The whole subject of UX is very much the 21st century digital marketing and SEO equivalent of this concept. UX is about ensuring the customer, or in this case the person clicking on your link, gets what he or she wants from your site and has the best possible experience while they get it. When you look at it in that context, the importance of UX is blindingly obvious. Presented with two sites purporting to offer substantially the same thing, if one is hard to navigate, glitchy, full of broken links and doesn’t render properly on your smartphone, and the other is silky smooth, intuitive and works fine on all platforms, then it doesn’t take a marketing guru to work out which one will be more successful. The point, though, is that it is not just a case of the site with poor UX losing out to the other one on that particular search result. The visitor will take one look, hit the back button, find somewhere better and never come back. UX is now very closely linked with mobile performance. Most web searches are now carried out on mobile phones, and searchers expect a fast loading and easy to read website. A website may provide a brilliant user experience on desktop, but totally fail on mobile. Only 5 years ago SEO analysts were still reporting that while more people searched on mobile, a vast majority would only make a purchase when they logged on to their desktops, laptops, or maybe larger tablets. Today, people expect to check out and arrange deliveries all on their mobile phones. To understand how and why Google might use UX as a ranking factor, it is worthwhile taking a step back and thinking about what the search engine is really seeking to measure when it ranks one website against another. Put at its simplest, it is asking which sites provide the best solution to a question or problem posed by the query entered into the search box. We all know that relevance and authority are important. But here’s the thing: That site with the poor navigation and the glitchy links might have all the answers. 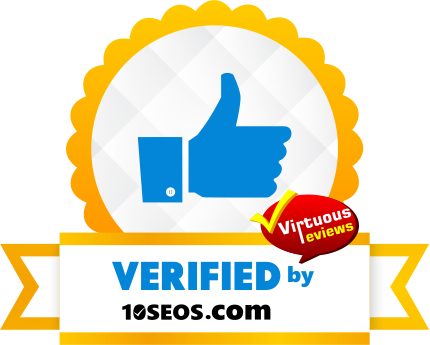 It could have information that is even better than the silky smooth one, with interesting and well written blog posts, high authority backlinks and all the other things that are gold dust in the SEO world. However, all that means nothing if visitors are scared away within five seconds of clicking the link, as the site is failing in that fundamental objective of solving the search query effectively. If Google continues to promote sites like these at the top of its results page, then it, too is failing to deliver what its customers expect. This is why building a mobile friendly website that loads fast is now more important than ever. The most obvious way to determine UX is by examining bounce rates, or more specifically, pogo sticking, where a visitor returns to the search pages and tries one of the other results instead. For site owners, getting clued up on bounce rates provides an early warning if all is not as it could be as far as UX is concerned. Of course, as well as bounce rate, you need to also look at time spent reading, as a page with a high bounce rate and high engagement will likely be providing exactly what the searcher was looking for. Of course, site load speed is another UX factor – a slow loading site frustrates users, and they will go elsewhere if your website does not load quick enough. Ultimately, better UX means happy customers, more traffic and better rankings from Google. If that’s not something worth working towards, then we don’t know what is.